According to the Centers for Disease Control and Prevention (CDC), more than one third of Americans don’t get enough sleep on a regular basis. Our bodies require appropriate rest in order to function at our highest capacity. But technology, stress and poor habits work against us. Many times we can’t sleep because our minds are busy processing the events of the day. That’s why it is important to purposefully create and maintain healthy sleep patterns. You may have heard someone boast that they function perfectly on just four or five hours of sleep a night. Maybe. But CDC studies show that sleeping less than seven hours per day is associated with an increased risk of developing chronic physical conditions and frequent mental distress. Obviously, a full night’s rest does matter. But how do you put enough time aside? One way to carve out 8 hours is by prioritizing the tasks and activities that fill your day. Make a list of tasks in the order of urgency. What has to be done today? What can be put off until tomorrow? What about next week? Be objective and realistic. Spread things out as much as possible. The list is a promise to yourself that the items will be addressed, just not at this moment. As the day winds down, try and keep dinnertime free from negativity. Agree to delay financial discussions or other heavy issues that may lead to disagreements. This is definitely not the right time to air grievances. If important issues must be discussed, put a time limit on the conversation or schedule a time to review them in detail. Binge watching old episodes of your favorite TV while indulging is snacks and a glass of wine may seem relaxing, but it is, in fact, a triple whammy against good sleep. Studies have shown that television, computers and mobile devices rev up the brain, not slow it down. The alcohol may make you drowsy, but it actually reduces the deep levels of sleep late in the night. And it’s hard for your body to rest if it’s busy digesting salt, sugar and fats. Create a healthy transition period before bedtime. Take a short walk or try some light reading. This is a perfect time to find inspiration in the Bible or for a quiet conversation with God. Prayer is very comforting before bedtime since it reminds us, no matter what our problems may be, we are never alone. Deep breathing and grounding exercises can also be helpful for clearing the mind. Another technique is to write down what is on your mind and put it in a “worry box” to be picked back up in the morning. Often, once you let go of a problem, your brain is free to work on it overnight and offers a solution upon waking. The Mayo Clinic says that teenagers need nine to 10 hours of sleep a night. School-aged children may need 10 or more. Along with your own activities, it is important to prioritize your children’s sleep and well-being. Sometimes we value things like after-school activities and classroom performance over our children’s mental health. Texting friends or studying for exams should be done before dinner or early in the evening, not in the wee hours of the morning. Sometimes, despite our best intentions, sleep just won’t come. Get up, walk around or even read a book if you truly can’t sleep. Forcing the issue can be counterproductive. Take comfort in the knowledge that your body is getting some rest, even if you don’t seem to be sound asleep. And yes, a glass of warm milk just might help. Good habits don’t develop overnight (especially in this case). 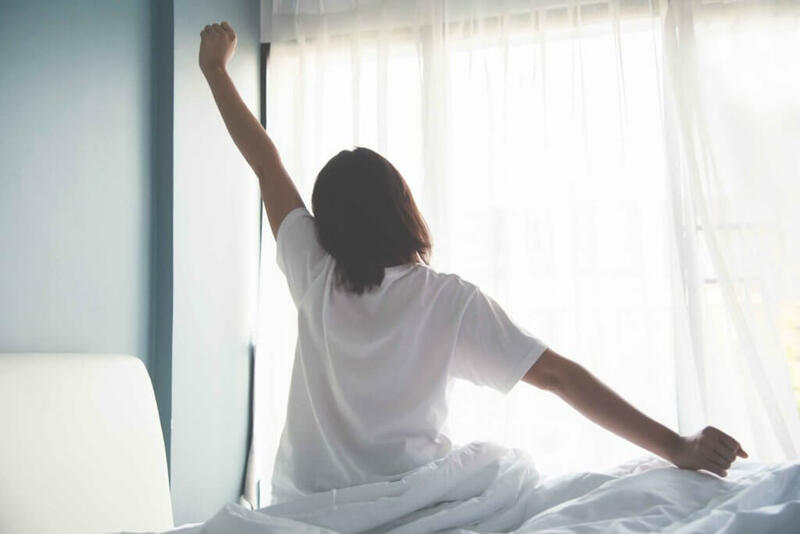 But if you make the effort as outlined in this article, you may be surprised how a good night’s sleep can change your productivity, relationships, and overall lifestyle. If you are still having problems, one of our counselors may be able to offer other techniques, or help you to cope with any underlying issues. We’re always here to listen.